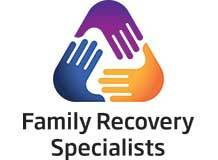 Family Recovery Specialists is on intensive outpatient program and addiction/recovery practice. We provide evaluations, intensive outpatient treatment, intervention and placement services, crisis/case management, recovery coaching and monitoring. We offer you a customized treatment experience to meet your goals for recovery. We meet you where you in the recovery process and help you achieve a life free from the devastating effects of substance abuse, addiction and other mental health issues. Find Help for Alcoholism & Addiction, and browse services from and for those already in Recovery. Please check the box below.